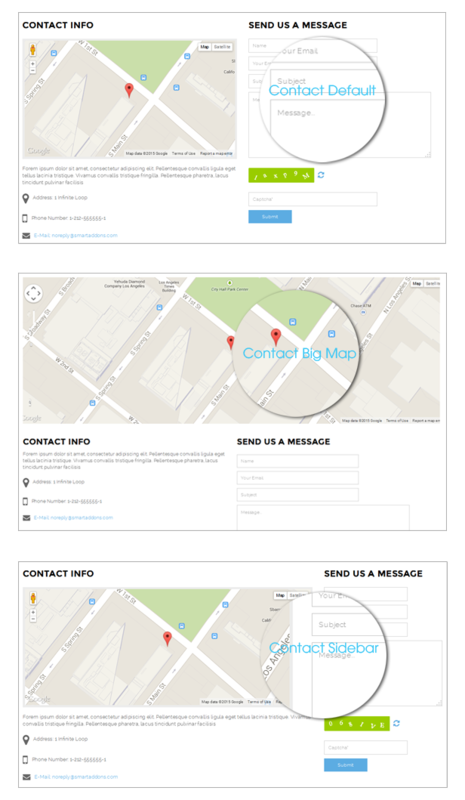 Specially, SJ Hexagon supports 2 homepage layouts. It's a wonderful features for users' using. 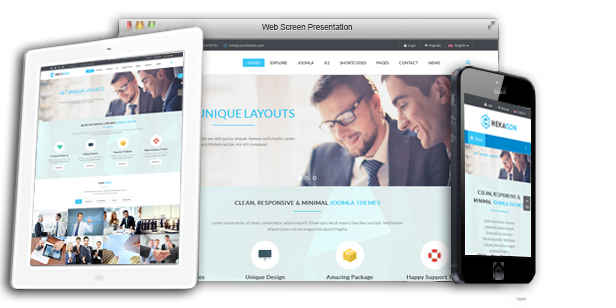 Let's discover this awesome business Joomla template here. 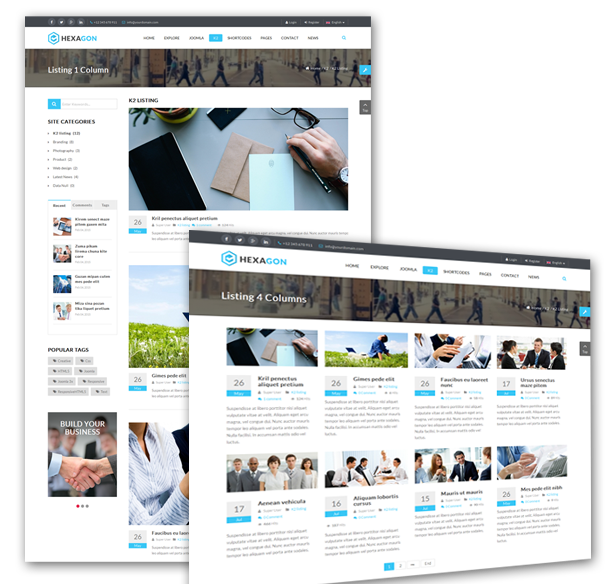 The powerful Joomla template framework - YT FRAMEWORK V3 is flexible with Bootstrap3 at core. You can easily customize most of Healthcare parameters without much coding knowledge. 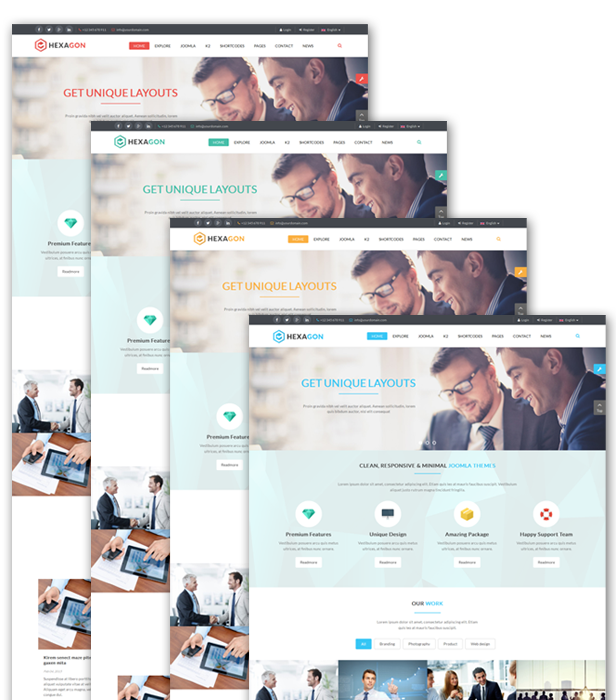 This responsive Joomla template is built with new web technologies: Bootstrap 3, Awesome Google Font, LESS, CSS3, HTML5 that makes it more powerful and flexible. 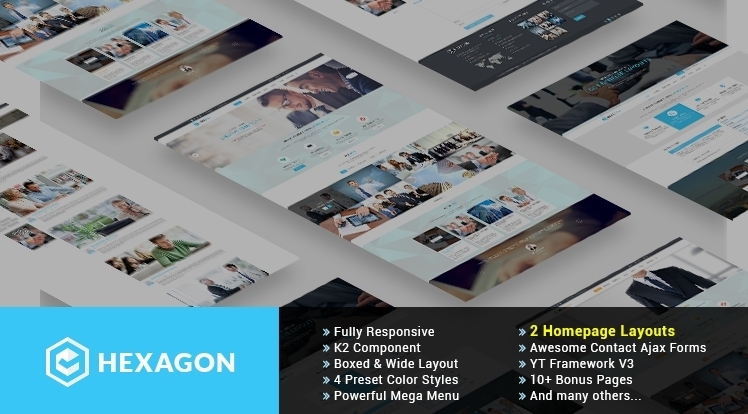 Hexagon is our first Joomla template which is multi-layout supported. 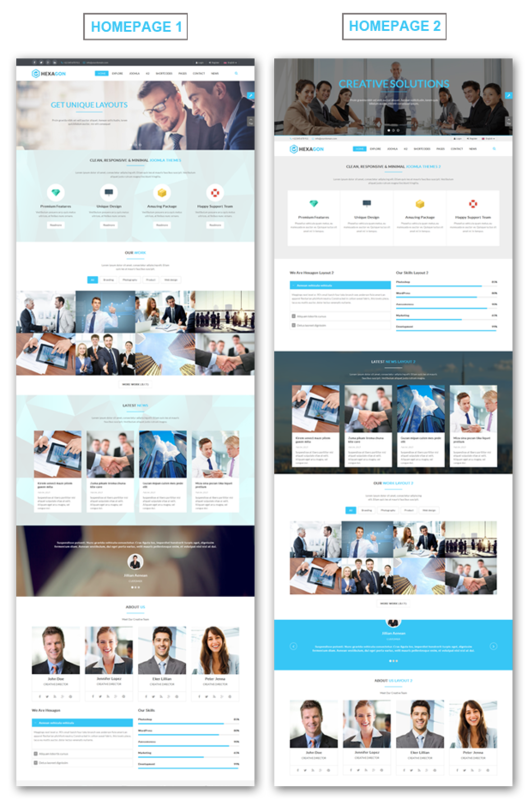 The template comes with 2 different homepage layouts for choosing. 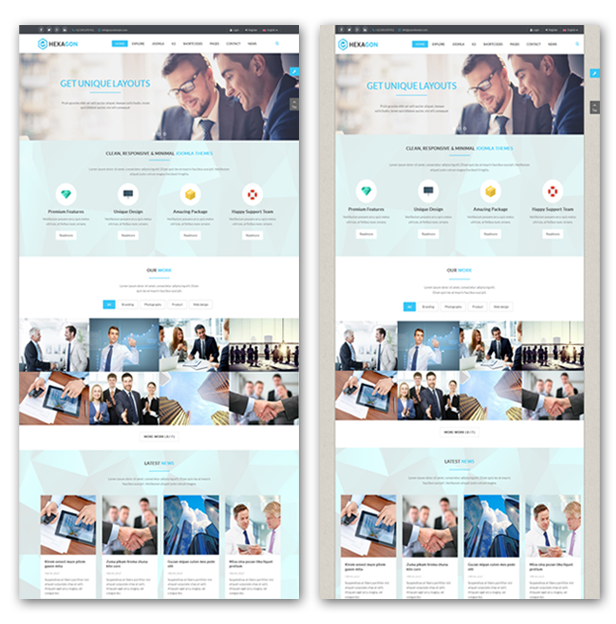 Hexagon is designed to be fully responsive layout, it will make your website have an amazing look on different screen resolutions such as: mobile, iPhone, iPad and other tablets. 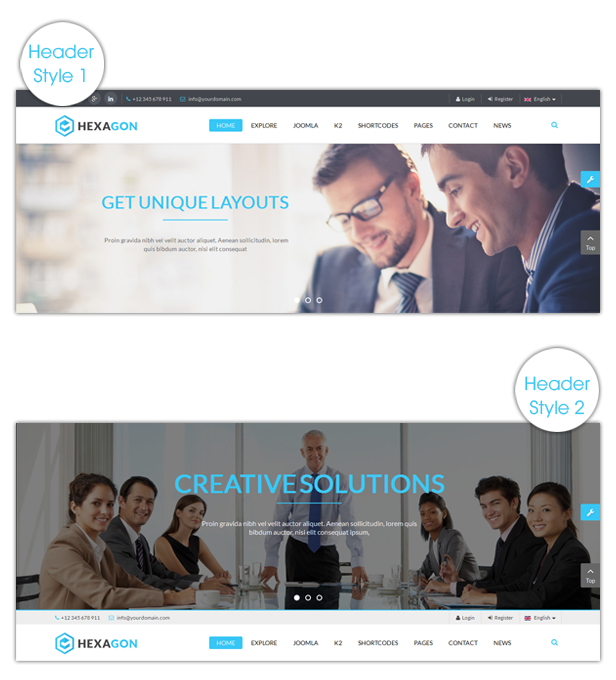 Hexagon supports wide and boxed layouts. With boxed layout you can easily customize the background image and change settings to meet your idea. This template is equipped with a lots of color styles: Blue, Red, Oranges and Emerald. Besides, it allows you to fully customize color schemes in back-end. With our mega menu, you can use to display categories and news with description, image, video, effects… or even add links to any page, static blocks with promotion banners and modules. Up to your ideas, you can choose to display your content listing from 1 to 4 columns.